The Mars Hydro Reflector 192 is a full-spectrum LED Grow Light with 12 bands that incorporates 192 5-Watt Epistar LED chips in its model. These chips emit white light, which is a deviation from most other LED grow lights. Four of these are infrared LED chips. 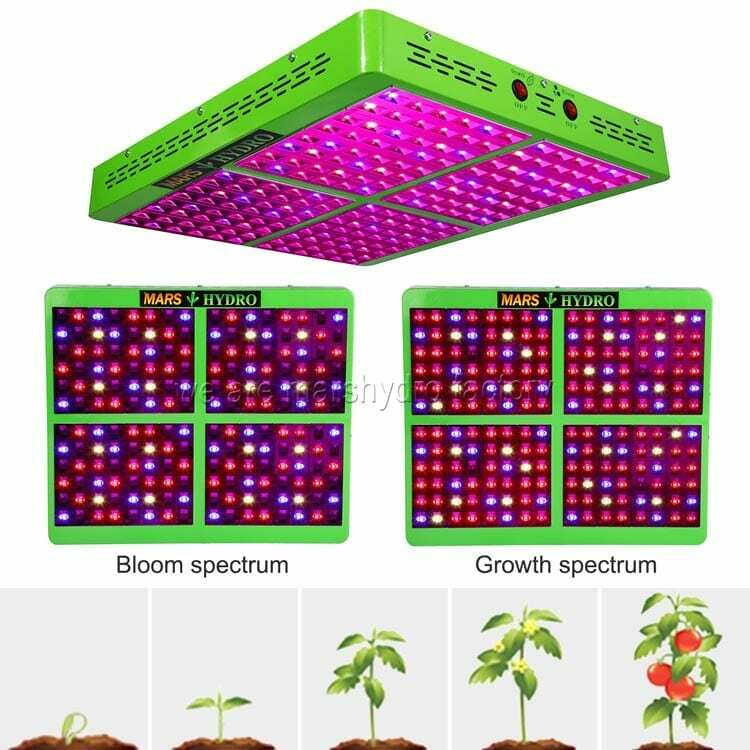 The grow light’s panel offers two switch modes, Veg and Bloom, which allow users to control the color output of the panel. The panel’s power output ranges between 2700 and 3200 Kelvin. 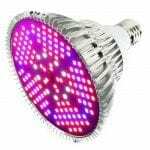 It’s a great choice if you’re going for an energy-efficient grow light. 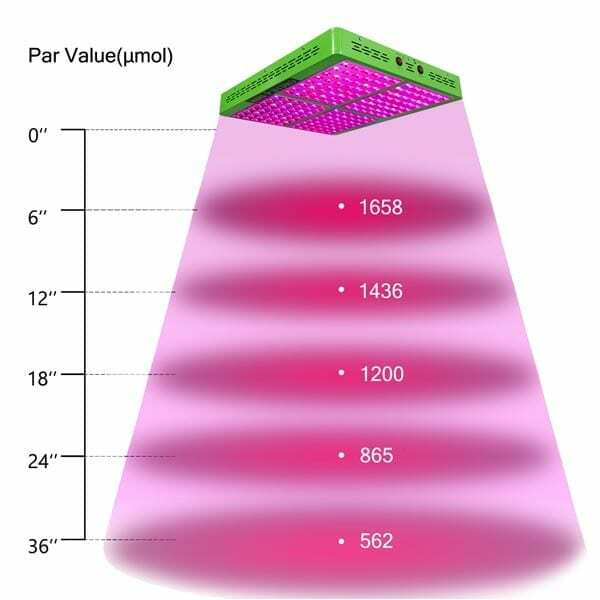 The grow light is comparable to a 450 HPS, MH or HID bulb. During the vegetative phase, the panel works on about 250 watts. 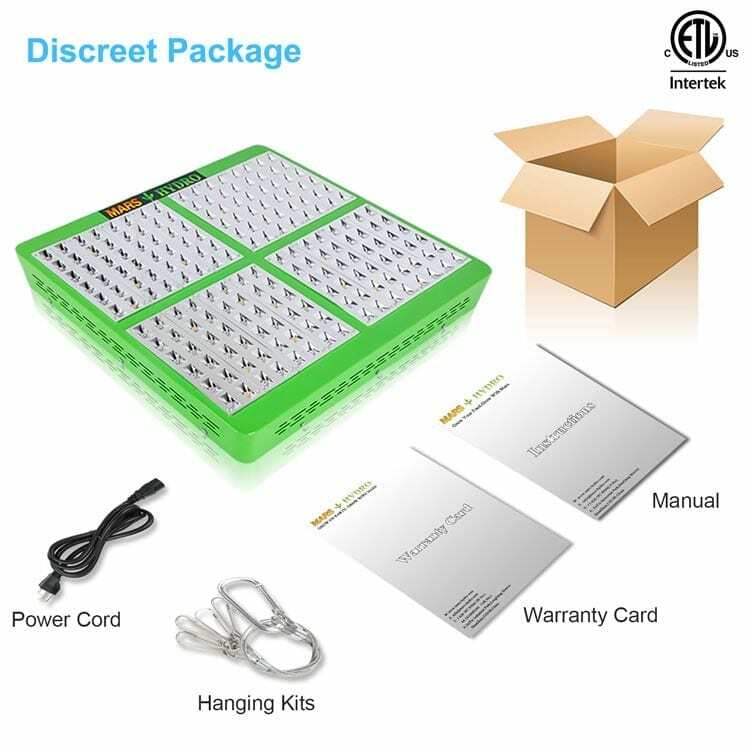 In the flowering phase, users are recommended to keep both switch modes on to get a total power usage of around 390 Watts. The grow light’s panel is very bright and has to be kept at a distance of about 12 inches from any indoor plants. 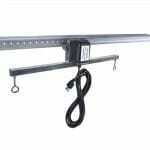 It also comes with heavy-duty hangers to balance out the grow light’s 17 pounds of weight. The Mars Hydro Reflector Series does an amazing job of staying cool even after 18 hours of usage. With a nonstop 7-day usage, you can be sure that the 192-model will face no problems of overheating or malfunctioning whatsoever. The grow light comes with a proper cooling system so that the panel can withstand power output over long periods of time with its effectiveness and efficiency remaining constant throughout. 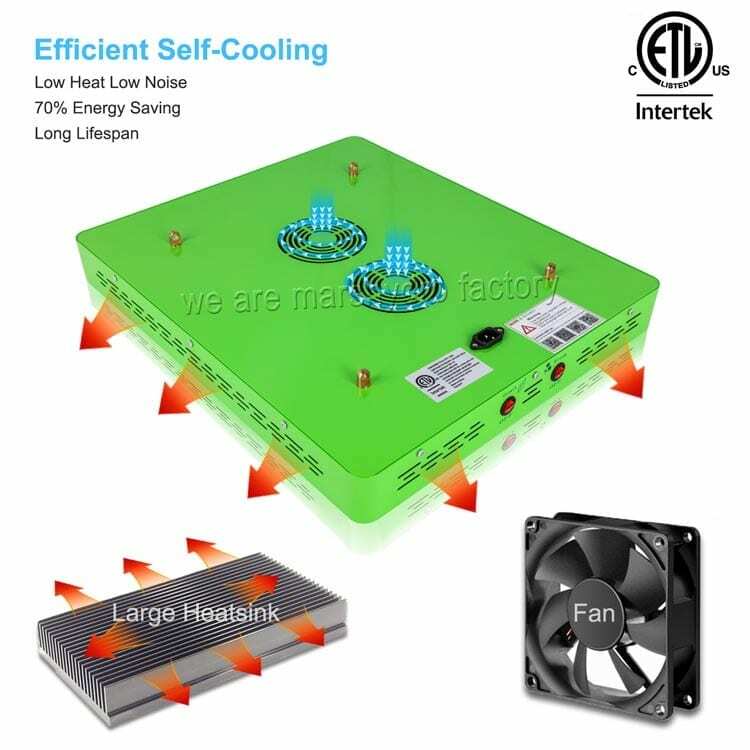 The grow light comes with extremely large internal aluminum heatsinks that work simultaneously with the cooling fans, which will spin for as long as the light is in use. This consistent airflow provides effective heat loss even in grow rooms that remain at high temperatures of 80 degrees. Also, the fans are silent, which makes the grow light a great choice for people who prefer a quieter growing environment. The Mars LED grow light comes with a 3-year warranty like all the other grow lights in the Mars Hydro Reflector series. You can also receive repair parts within the second year to perform reparations yourself or have them done by capable servicing shops. In our Mars Hydro Reflector 192 review, we found that the product seems to be the best LED grow light in terms of it being energy-efficient and budget-friendly. Mars Hydro just recently extended their warranty program to three years. Thanks to this program, Mars Hydro became a lot more reliable and comparable to other brands in the same price range. 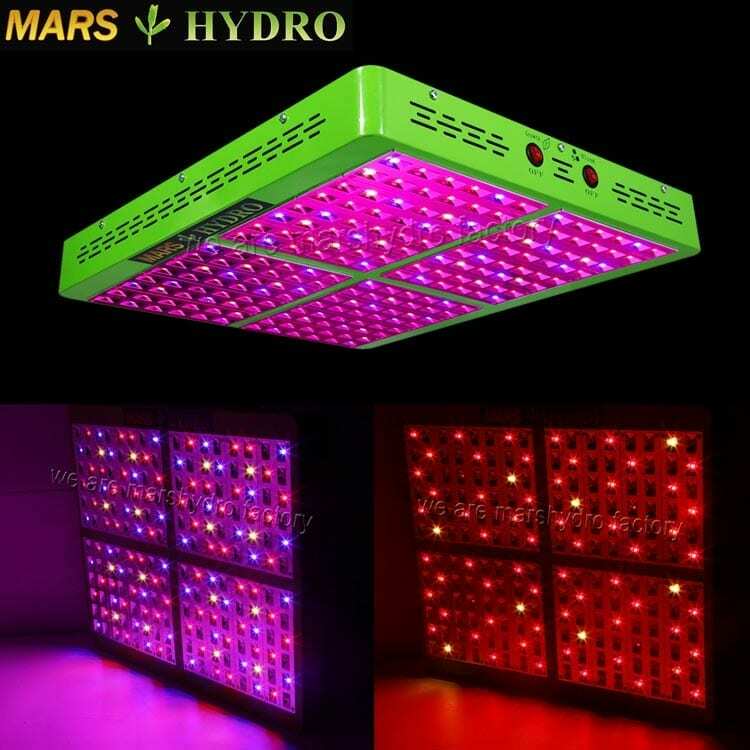 Some LED panels can come with a full 3-year warranty and additional features within the same price range as the Mars LED grow light hydro reflector 192. 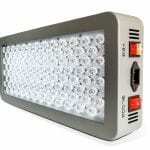 That said, for the indoor gardener that wants the best grow light in a limited budget, this is the best choice. This light definitely has great bulbs and great customer service in North America. Check out our complete guide on buying the best LED grow light for indoor growing. Check out all of our reviews right here. Are you looking for a smaller light in the same series? Check out the Mars Hydro Reflector 48, Mars Hydro Reflector 96 or the Mars Hydro Reflector 144.